Searching for a five star Discovery touring experience? 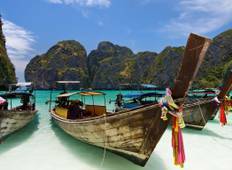 Look no further, as our Luxury tours of Southern Thailand will allow you to discover exceptional destinations such as Phuket and Ko Phi Phi. Taste the adventure and discover new cultures while enjoying premium services and facilities. "First trip to Thailand and loved it. the tour was amazing from the jungle to the..."
"The trip was excellent from start to finish there were only 4 passengers but we all..."
"Everything was perfect on this trip. 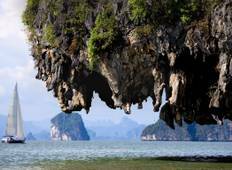 Besides the weather and fellow travelers which..."
"My husband and I traveled with G Adventures to Southern Thailand. What a trip! We..."